Home prices across America rose by 7% last October from the same month last year, according to the latest figures from property data provider CoreLogic. On a month-over-month basis the hike stood at 0.9%. October’s gain marks the fourth consecutive month for home prices to rise by at least 6% on an annualized basis – it’s the longest such streak since 2014. “This escalation in home prices reflects both the acute lack of supply and the strengthening economy,” said CoreLogic chief economist Frank Nothaft. An analysis of the country’s 100 largest metropolitan areas also revealed that 37% of them had overvalued housing stock as of October. Some 26% were undervalued, while a separate 37% were at value. CoreLogic defines an overvalued market as one where home prices are at least 10% than the long-term, sustainable level, while an undervalued housing market is one in which home prices are at least 10% below the sustainable level. Among the top 50 metropolitan markets based on housing stock, half were overvalued, 14% were undervalued and 36% were at value. 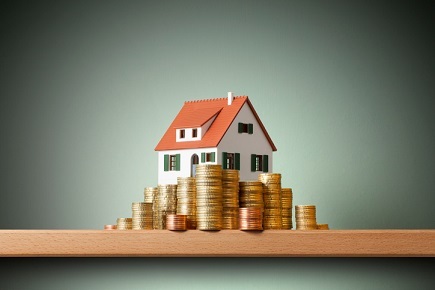 “The acceleration in home prices is good news for both homeowners and the economy because it leads to higher home equity balances that support consumer spending and is a cushion against mortgage risk,” said Frank Martell, president and CEO of CoreLogic. “However, for entry-level renters and first-time homebuyers, it leads to tougher affordability challenges,” Martell added. CoreLogic’s Single-Family Rent Index showed that rents paid by entry-level renters for single-family homes rose by 4.2% from October 2016, compared with overall single-family rent growth of 2.7% over the same time.